These are critical questions, and you deserve honest answers. Rest assured, you are not alone. I speak from experience. I've been where you are and know what you are going through. 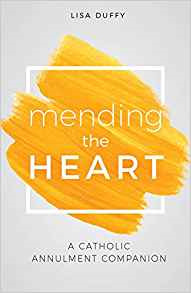 In Mending the Heart: The Catholic Annulment Companion, I walk with you through the annulment process, taking a close look at the changes Pope Francis has made, and helping you discover ways to find hope and healing in the midst of heartbreak.